If I only had free daylight hours today I would have had such cool pictures. We have some buildings here made out of only large black glass panels. Pretty nifty stuff. Oh well. 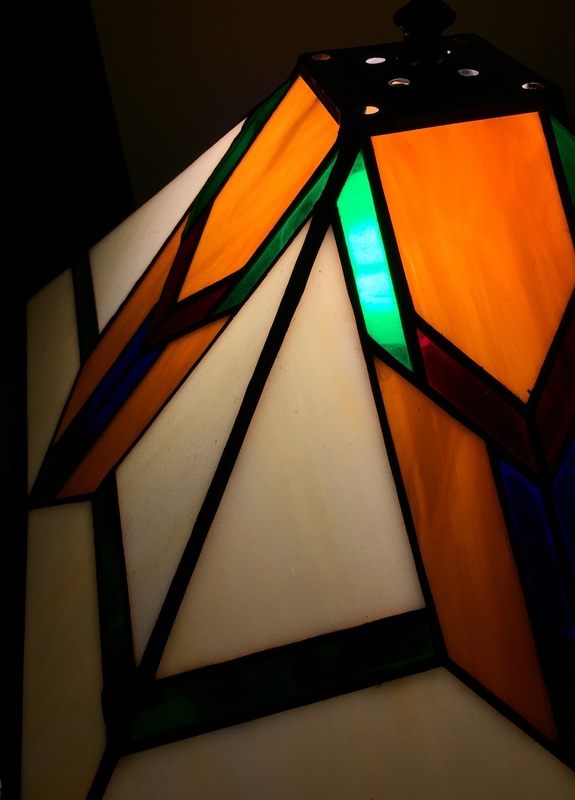 Instead here is a photo I snapped with my phone this morning of a stained glass lamp I made. How lovely! I really like how you have the corner of the lamp angling up from the corner of the photo.